Enigmatis: The Ghosts of Maple Creek is one of the games which the more experienced gamers and the fans of this genre in particular are looking for. 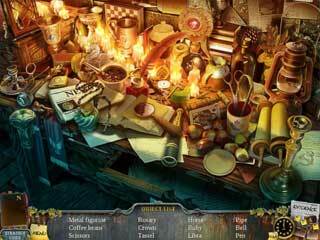 The game is a perfect example of the best that you can get in the adventure/hidden object genre today. One the things you are to solve being a detective is the case of a missing girl. As it is most appreciated today the game doesn't tell you the core of the story right from the very beginning. You get a little bit to start with, then you have enough to start playing. And as you proceed, you get more bits of the story. You are introduced to a girl in trouble. And the trouble is the worst scenario ever - she is running from someone following her. The next thing you know is that something happened but you don't really remember what. From that moment on you are exploring Maple Creek in search for the clues as to what happened to you. One more thing that you are to solve being a detective is the case of a missing girl. 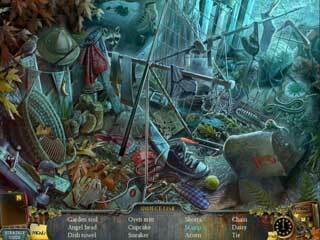 The game offers you a great number of hidden object scenes, much interactive exploring to do, and also some quite challenging puzzles to solve. The game also looks absolutely gorgeous with all the detailed graphics and the animated parts. The voice-over makes it all very enjoyable. The game doesn't make it too easy for you to move on to the next section. You will have to think and pay attention to all the things you find and read and see. Both the more experienced gamers and those new to the genre will enjoy the game for sure. I am ttloaly wowed and prepared to take the next step now. This is Enigmatis: The Ghosts of Maple Creek review. Download this game here.